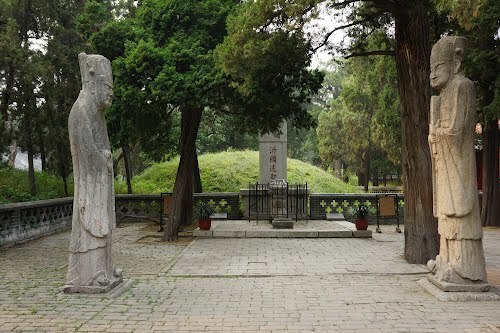 The Cemetery of Confucius is a cemetery of the Kong clan in Confucius' hometown Qufu in Shandong province. 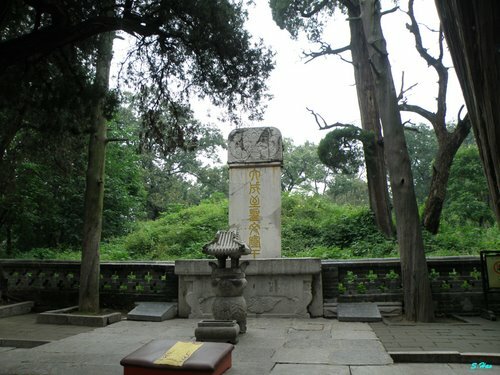 Confucius himself and some of his disciples are buried there, as well as many thousands of his descendants. 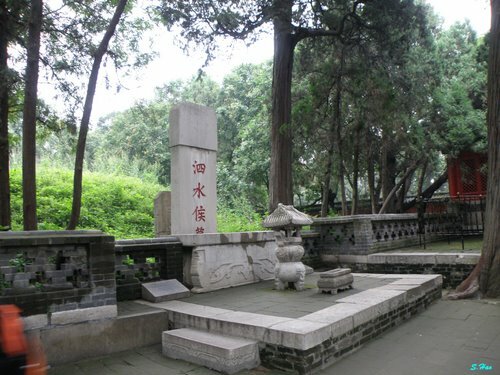 Since 1994, the Cemetery of Confucius has been part of the UNESCO World Heritage Site "Temple and Cemetery of Confucius and the Kong Family Mansion in Qufu". 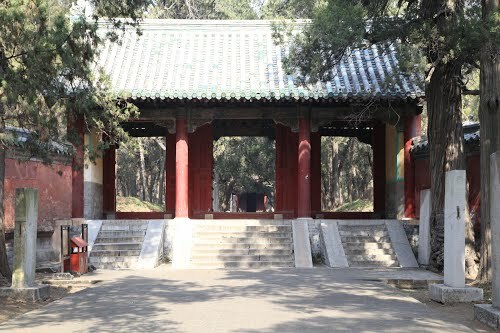 The two other components of the site are the Temple of Confucius dedicated to the memory of the philosopher and the Kong Family Mansion, where his descendants lived. 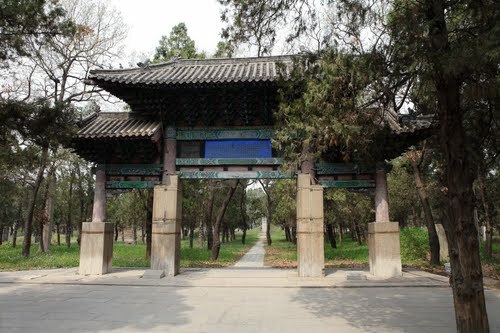 The three sites are collectively known in Qufu as San Kong, i.e. 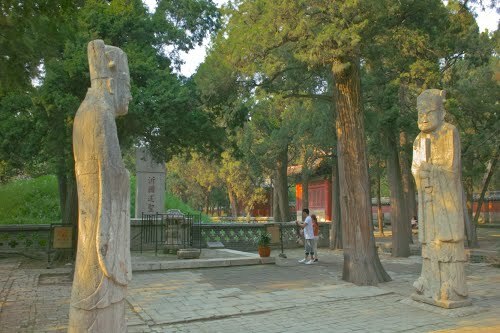 "The Three Confucian". 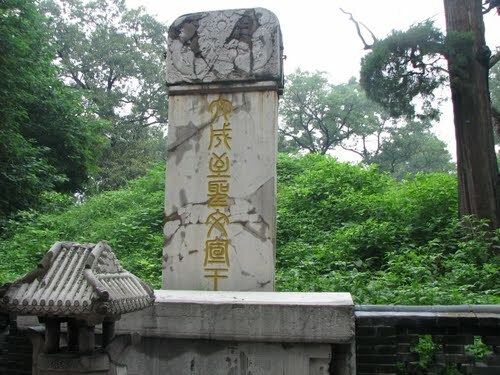 In 1331 construction work began on the wall and gate of the cemetery. 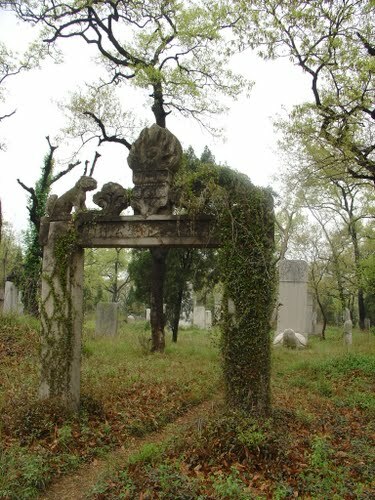 In total, the cemetery has undergone 13 renovations and extensions. Eventually, by the late 18th century, the perimeter wall reached a length of 7.5 kilometres, enclosing an area of 3.6 km². 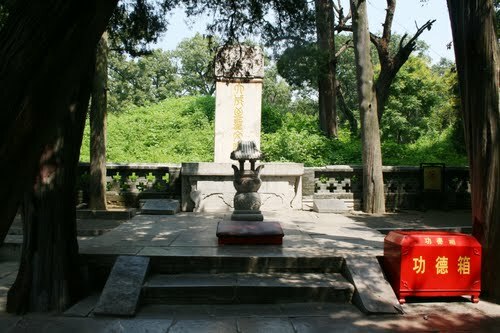 In this space, the tombs of more than 100,000 descendants of Confucius, who have been buried there over a period of about 2,000 years, can be found. 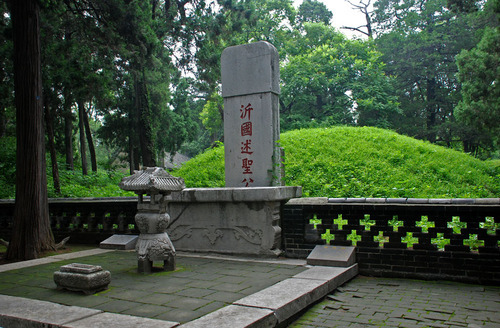 The oldest graves date back to the Zhou Dynasty, the most recent of which belong to descendants in the 76th and 78th generation. 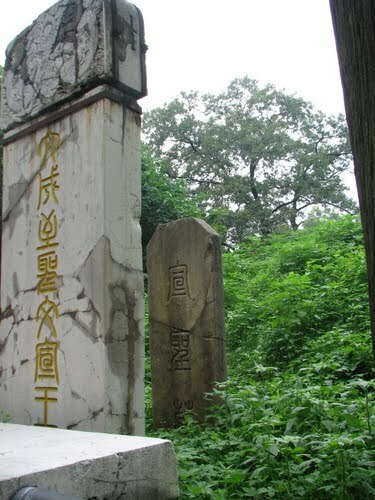 The cemetery suffered serious damage in November 1966, during the Cultural Revolution, when it was visited and vandalized by a team of Red Guards from Beijing Normal University, led by Tan Houlan. 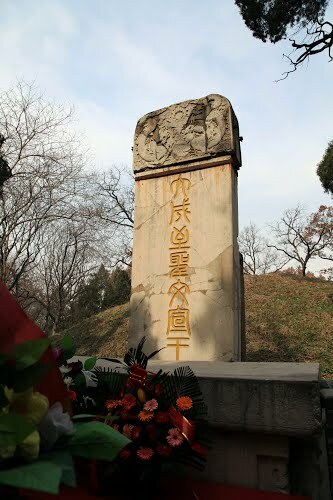 The corpse of the 76th-generation Duke Yansheng was removed from its grave and hung naked from a tree in front of the palace during the desecration of the cemetery in the Cultural Revolution. 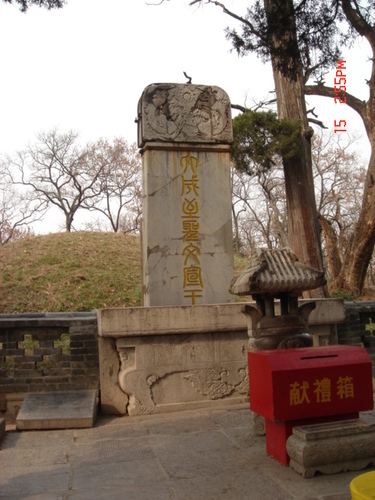 Qu Fu. 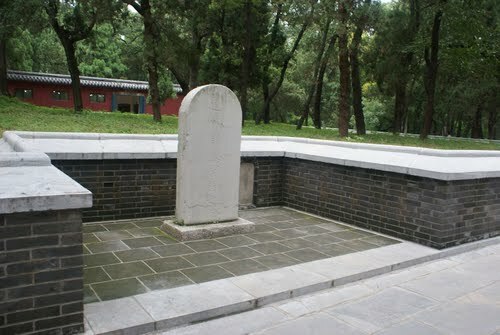 Confucius Grave. Aug 2009. 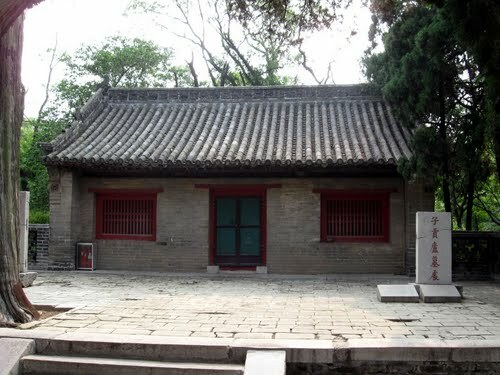 The Kong Family Mansion was the historical residence of the direct descendants of Confucius in the City of Qufu, the hometown of Confucius in Shandong Province, China.